the summer off from the lodge. Although as you all know, we may go dark for a couple months but we are still rather busy during the summer. Our last meeting in June was of coarse run by our past masters followed by our typical steak fry. We had a good turn out and the steak fry was great as usual. 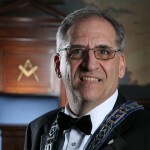 Our next order of business was the Master Masons Degree on June 21st. Once again our candidates headed up by brother Jr. Deacon Rob Izzi did a wonderful job with their fellow craft proficiency. The Master Masons Degree itself and lectures a couple weeks later, also went well thanks to the hard work of our officers and all the other brothers who assisted in making the degree a success. A special thanks to Rob Lindberg, Jason Gail, Wor. Ken Angilly for filling in for me during the degree and every meeting as well as Jr. Steward Dave Des Plaines for doing double duty on the lectures. Although it is the summer and we did have a full contingency of people for the 3rd part of the degree, I would have liked to see a better turn out on the side lines. It takes a lot of work and dedication to put on the degrees and lectures and the guys deserve your support. They certainly have earned it. On a lighter note, We had our miniature golf event at Mulligan’s Island followed up by ice cream Sundaes. I’d never played there before. You have two different coarse choices to play on. It was a beautiful day and a lot of fun and who doesn’t like ice cream sundaes! I’d do it again. Our next event was the Harmony Lodge Annual Picnic on July 10th. It was a little touch and go with the threat of rain but if you didn’t go you missed out on a good time. The rain did hold off so everyone did manage to stay dry except me of coarse as I received the traditional master dousing of ice and water. I’m not complaining, it’s all in good fun. I would like to thank brother Mike Ippolito for stepping up and offering to run the picnic this year, that was huge, as well as this years class for assisting him and the other brothers who for several years have chipped in to help make the event a success. That was not the last event this summer. The following week we had our 26th Annual Golf Tournament to benefit Big Brother Big Sisters. It was held at Crystal Lake again. I do not golf myself but did go to the dinner which was great. You won’t go away hungry from there that is for sure. I don’t have the figures but the event was a big success once again. A special thanks to Wor. Ken Angilly for offering to run the event this year and those who helped out includingsomeofourladieswhoputtogetherrafflebaskets. Wherewouldwebewithout our ladies, they do so much for us. One last event this summer which was not a harmony event but certainly worth noting was the Grand Lodge Picnic. In addition to celebrating their 225th Anniversary, Inspired by MW Steve McGuire, the Supreme Rainbow Assembly was invited with Rainbow Girls from all over the world to the event. Buses were rented to bus the girls to and from Masonic Youth Center culminating with an awesome display of fire works over the bay that evening. Of special note is that our very own RW Ken Poyton had the daunting task of organizing the event. The event was a huge success! For those attending the Light House Tour on September 11th, a quick reminder to make out your checks to Harmony Lodge and mail them to me by August 26th to reserve your seat.